I know, I know, I’m late again with my monthly favourites! I have been so busy trying to get my life together, I haven’t been able to think about my June Favourites! Lets start on the month. June is my favourite month, mostly because it is my birthday month, and this year was a big one for me. I also went on an amazing holiday to Turkey, so overall June has been the best month so far this year! 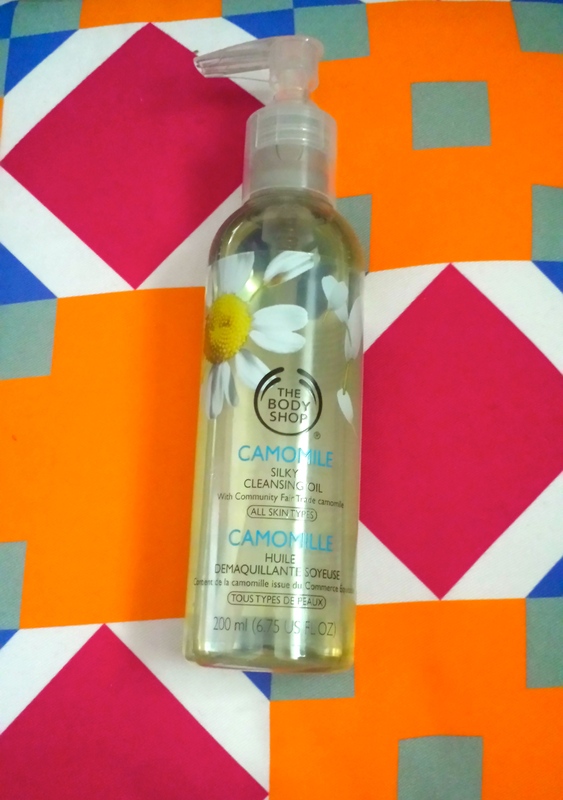 First up is a skincare product, which you will have seen in a recent evening skincare routine here and its my Body Shop Camomile Silky Cleansing Oil. I am totally in love with this product. It makes removing my make-up so easy, and actually enjoyable! It gets rid of my eye make-up in a jiffy and I love the mess it makes!! Even though I have combination skin, this hasn’t broke me out or made my skin greasy, it is just a wonder product and I love it! My next favourite of the month is a make-up product from Boots, again I have featured this product before in a haul and I have since brought a few more! They are the No7 Stay Perfect Shade and Define eyeshadow sticks. I have 4 colours, Gunmetal Grey, Pink Pearl, Glistening Ray and Deep Purple. The shade I have been using the most is Glistening Ray. These are such lovely formulas and so easy to blend and stay put forever. They are also fantastic dupes for the By Terry Ombre Blackstar eyeshadow sticks, of which I have one of. I brought mine when boots had their No7 vouchers floating around, and now they are doing it again, so will definitely be picking up some more colours (only 4 more to go!). I have been rocking statement necklaces, throughout the month of June, with two sticking out, due to wearing them on various birthday celebrations. My Marks & Spencer one and my Zara one. These are beautiful, and not too heavy, so I don’t feel the need to whip them off half way through the night as I do with some. Speaking of Zara, my next favourite is a bit of a random purchase for me, not that I don’t normally buy jeans, but as I am a bit on the short side, I can’t normally buy jeans or trousers from a ‘normal’ clothing range, it usually has to be the petite range, so to be able to grab these beauties (seen here in a haul) and I love them! 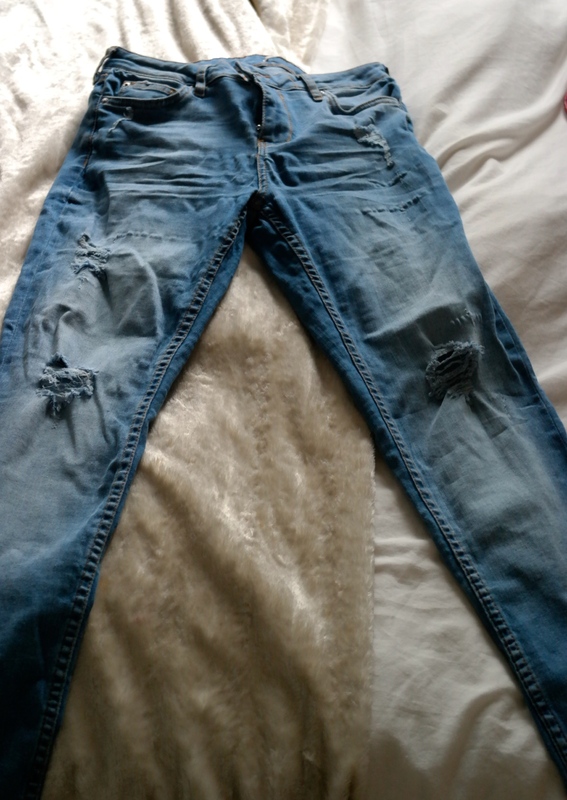 They are so comfy and on trend and I plan to wear them until the rips cover the whole jean! Finally, my last, but by no means least, favourite of June are my family. June was a tough month for us with various family issues, but we have become a lot closer and it certainly makes you realise how much they mean to you and although they can be very testing at times, they are mine! What did you love through the month of June?